What happens when exquisitely beautiful elves start getting all the roles in Hollywood? Human actors sue, that's what. In a desperate attempt to keep the squabbling inside the Screen Actors Guild from going public, the president of SAG forces the two sides into arbitration. Enter Linnet Ellery, a human lawyer working for a vampire law firm, to serve as arbitrator. Linnet discovers that there are sinister forces at work in Tinsel Town, determined to shatter the fragile peace between elves, vampires, werewolves, and humans. Someone has been coercing famous elven actors into committing sudden and terrible acts of violence against humans in a series of tragedies that could turn the tide of public opinion against all the supernatural Powers. 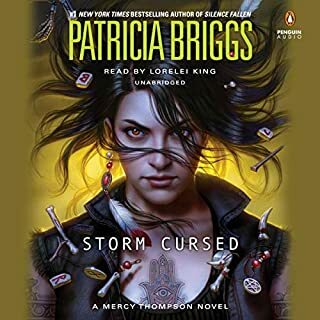 During the course of her investigations, Linnet realizes that a puzzling secret surrounds her, and that a strange power has been affecting the very course of her life. 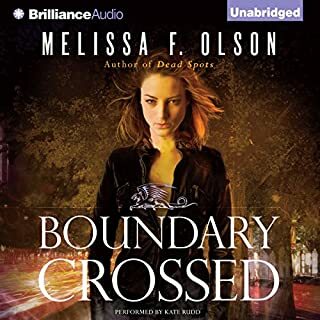 ©2013 Melinda Snodgrass (P)2013 Audible, Inc. It's a fun mystery, adventure, who dun it type, like the first book. You'll enjoy this if you liked the first one (This Case is gonna Kill Me). If you could sum up Box Office Poison in three words, what would they be? compolicated plot - the author does not spoon feed the story. Her male voices were excellent, and varied. I enjoyed taking in the story over a couple days. Book Two of the Linnet Elvery series picks up about 6 months after the events in Book One. The story is based in Los Angeles. Linnet and David work a case out of the firms' LA offices. This was a good opportunity for a female writer to write of a female lead that actually encompasses the essence of a strong independent female with minimal cliches. Unfortunately, we get pages of wardrobe drama, diet trends, "I'm too short" comments, etc. I'm torn with this one. Linnet is supposed to be smart. And not just regular smart, but fancy pansy Yale Graduate smart. I'm not sure what they teach at Yale, but common sense doesn't seem to be in the curriculum. The author tells us that Linnet is intelligent and witty but that's being forced fed into being and doesn't actually come across in the actions or decisions of the character. We are repeatedly told about John's sacrifice. We are repeatedly told about Linnet being fostered... over and over again. This series constantly tells the reader that Linnet is a Yale graduate third in her class blah blah blah... other than an interview at no time in my life, have I said to random people "Can I get a baked potatoe instead of fries and by the way I graduated 12th in my Class with a Masters Degree in Education. Also, I'd like a sweet tea and I'm currently working on my Doctorate in Education. No ice please." That's annoying. Please don't have that in the next book. If you have any interest in Horses or Hollywood, then you'll find interest in this story. Our main character is a lawyer, but she acts more as a detective in this book. I don't see any true feminist or plot-attracted readers falling in love. This is a very compelling series. I have thoroughly enjoyed listening to them. Especially this last one. My only regret is that there isn't the next book to read. So please, Phillipa Bornikova keep this series alive with more books. I was so happy to have found this series! 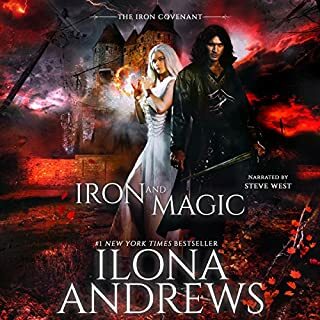 It has a unique twist on the Urban Fantasy trope, but definitely not boring. Yes, it had a bit more legalese than what I’m used to but it was interesting. Good plot development and amazing characters. The narrator was really good, too! A little slow in places but overall really enjoyable. Narrator was a little unnatural--quite a bit of affectation in her voice. Looking forward to the next one. Terrific, even better than the first. 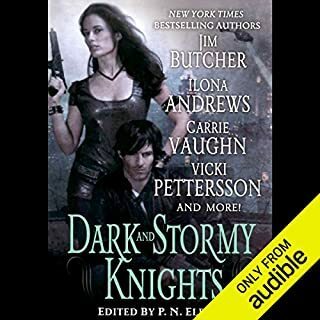 This is the second book in the series, we find Linnet in Hollywood co-chairing an arbitration, with her vampire boss David - the dispute? do the Alfar (elves) have more of an advantage when going for acting parts within the film industry. Add that some Alfar appear to be going on a killing spree, things in tinsel town are tense. What I love about this series is that it is not one dimensional, it has layers and I like layers, her inner dialogue, quick thinking and observations had me both chuckling and just wanting more. I especially liked the working relationship with David, although not always comfortable you actually see the rapport and respect growing. PB does not romanticise the 'Powers' , what a refreshing change! you see their mistakes, vulnerabilities and flaws, with mini plots going on around the main drama, I was not bored. Add an excellent plot, this is no run of the mill fantasy. I have given 5 stars because of how much I enjoyed the story and varied characters any niggles where washed away.. It real helped me escape for a few hours, great entertainment and narration. Now hurry up PB and bring out the next one.. I would start with 'This Case is Gonna Kill Me' which is the first in the series, which starts off with Linnets first case. 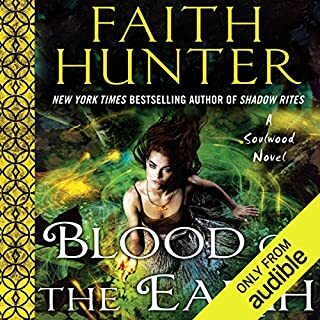 Where does Box Office Poison rank among all the audiobooks you’ve listened to so far?